St. Cuthbert's Church in Darwen has had a piece of its history restored thanks to our first year apprentices. After the original weathervane was damaged in a storm, St Cuthbert's Church Wardens, Chris Rugg and Janet Dean approached WEC Group in a bid to repair this significant part of St Cuthbert's history. 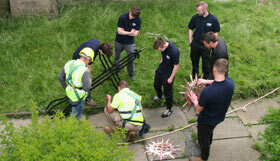 Our apprentices spent four weeks working on the galvanised steel replica using traditional metalwork techniques including forming, MIG welding and oxy acetylene cutting - all of which they have learned since studying at the WEC Group Training Academy. They also managed to restore the copper cockerel after they polished it back to its original state. Matthew Walsh, a first year apprentice at the Academy, lives close to the Church and was extremely keen about working on the weathervane. He took it upon himself to take a leading role in the project and put a lot of time and effort into it. He said: "I can see St. Cuthbert's Church from my window, and with it being so close to home it really made me want to get involved with the project. "I think it's important to help out the local community and this is a great way of giving something back." A special service was held at the beginning of June when the Bishop's Chaplain, Rev. Toby Webber, re-dedicated the weathervane. Matt also attended the service. St Cuthbert's Church was built in 1878 on its present site, and the weathervane was installed on top of the clock tower when the church was extended in 1907-08. A spokesman for the church said "We are extremely grateful to WEC for its generosity in refabricating this historical weathervane at no cost to the church. "The congregation met Matt Walsh, and were able to talk to him and see his enthusiasm for this project. We would also like to thank another local firm, High Level Maintenance, for co-ordinating this project with WEC, from the removal of the weathervane when it became damaged, right through to its repositioning on top of the clock tower." 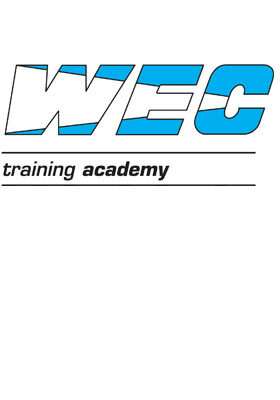 The award winning WEC Group Training Academy was formed in 2006 and is the only one of its type in the UK. Providing young people in the local area with the skills to carve out a successful engineering career, the Academy is taking on 21 welding and machining apprentices in September and has recently expanded to Rotherham where a further six apprentices will be employed. Our Academy has been recognised in the fourth Top 100 Apprenticeship Employers list, recognising excellence in businesses that employ apprentices and showcases the breadth of employers who now offer apprenticeships. 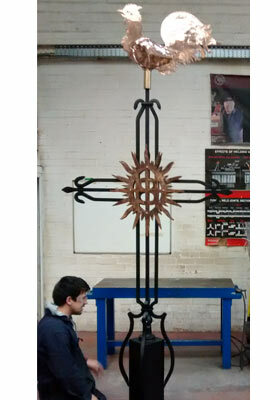 For more pictures of the weathervane project, please visit our WEC Group Training Academy Facebook Page.